Alpha SP-600K Pool and Hot Tub Heat Exchanger. Featuring high efficiency Heat Transfer Capabilities. 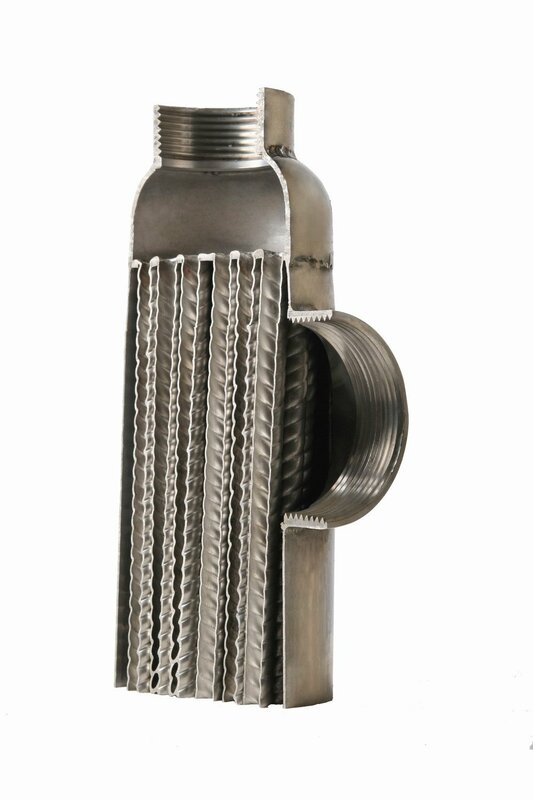 Smooth tube and shell design ensures high velocities inside the heat exchanger maximizing heat transfer. Ideal for solar applications for pools, hot tubs, hydronic heating and snow melt applications. High efficiency,coefficient up to 14000 w/m2 deg C,Heat exchanging capacity 3-7 times traditional equipments. Compact configuration, occupy small area, one tenth as the traditional equipments. 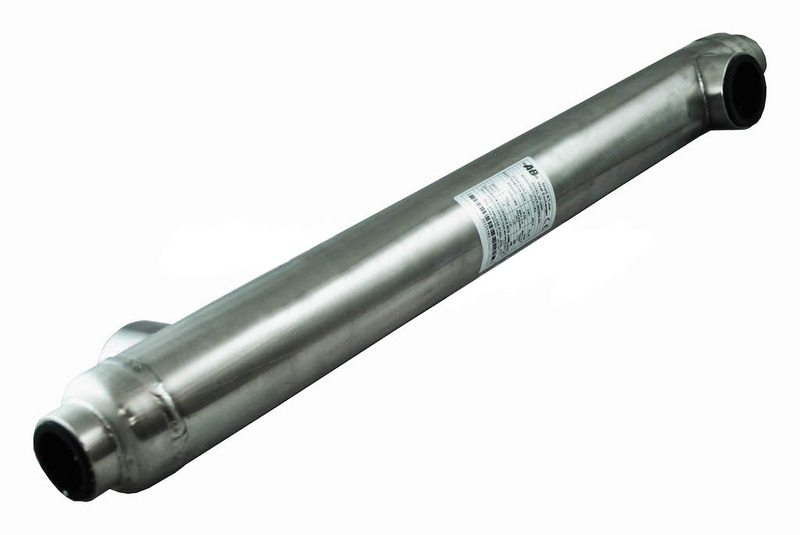 Stainless steel and/or titanium, material, endure high temperature, pressure and minimal corrosion. Helix screw thread elasticity heat exchange bundle, eliminate the stress. 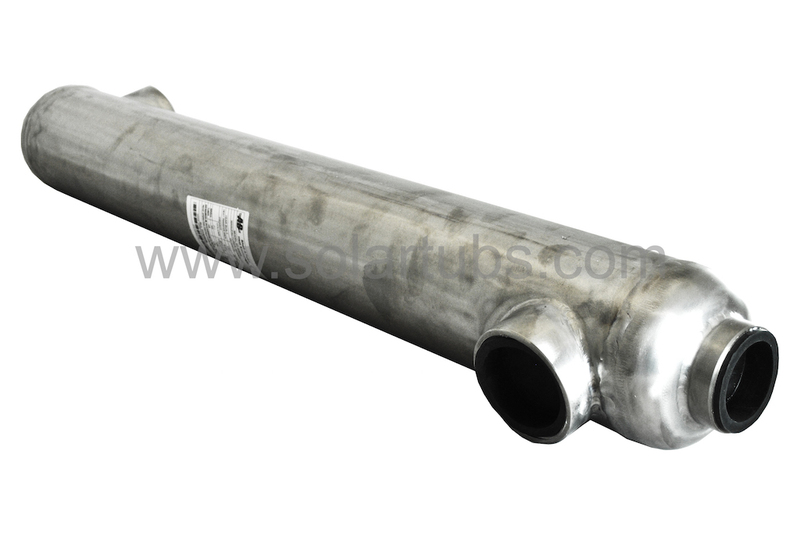 The helical tube bundles are available in both Titanium and 316L Stainless Steel. 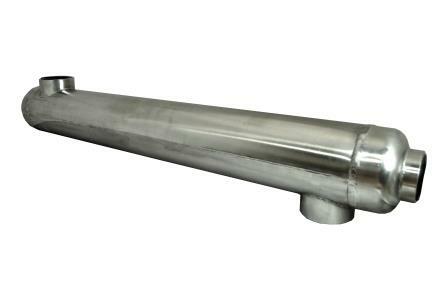 Stainless steel tube bundles should not be used in applications that involve high levels or sea/saltwater. 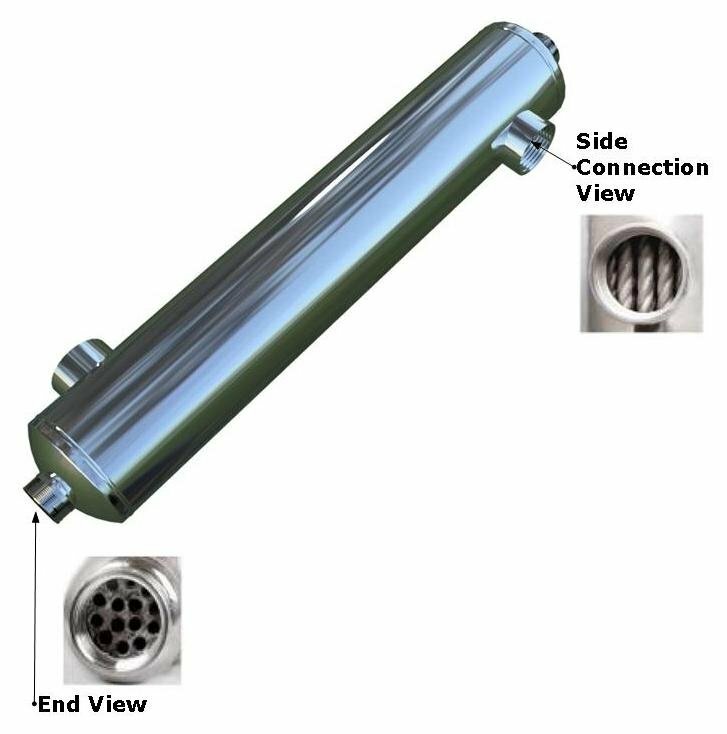 The Titanium tube bundles are recommended in these cases. This product was added to our catalog on Wednesday 10 July, 2013.